Is your heat pump freezing or exerting warming up instead of cooling down your room? If yes, very likely you have a heat pump refrigerant leak. In this troubleshooting guide for we have all the reasons why you may experience these problems and how to repair them. If you have one heat pump refrigerant leak, you may face a few problems that we need repair or else you won’t be able to enjoy the device as much as you would like. Here we have the perfect troubleshooting guide to diagnose and fix any refrigerant leak. Come and read further to learn more! First, the evaporator receives all the hot air from the outside but is eventually turned into cool air thanks to the work of the refrigerant, which captures the heat. The refrigerant is immediately converted into gas. The refrigerant as gas passes through the compressor which puts it at high pressures to convert it into liquid again. This process creates heat which is eventually expulsed by the condenser. A metering device will make sure that the liquid refrigerant doesn’t stay in the same place, but instead, it makes sure that the refrigerant is transported into the evaporator in the right amount & speed. Now the refrigerant is ready to pass over the evaporator which thanks to internal fans will absorb the hot air which is cool down by the refrigerant once again. This process will repeat and repeat over and over until the refrigerant evaporates entirely or there’s a leak. As you see, the refrigerant is easily the essential part of the whole process. Without it, there wouldn’t be any air conditioning, and very likely the refrigeration process wouldn’t exist. Chlorofluorocarbons (CFC): The famous R12 refrigerant and similar ones. Known for contributing to greenhouse effects, it is not produced anymore. Hydrochlorofluorocarbons (HCFC): Less damaging than the R12 to the environment, yet still bad. Will be put out of the market by 2020 due to its lack of efficiency. Hydrofluorocarbons (HFC): Includes the R410A and the R134. These are both known for being much more efficient, reliable, and for offering much better air quality due to fewer damaging emissions. So, if you have to choose – always go for HFCs such as the R134 or the R410A. Those are the best refrigerants you will find on the market. Still, having the best refrigerant won’t assure a great performance without a heat pump refrigerant leak. There are various ways to know whether your heat pump has a refrigerant leak. All these symptoms may also happen with other causes, yet refrigerant leaks are the most common. Low refrigerant levels immediately produce the device to work intensively, which makes the flow of air to be reduced eventually. Cold air will not come out of the device as usual. The registers of an AC or heat pump should always exert cool air accordingly. However, this doesn’t always happen. When the air that comes out of the device is hot or warm, it means that there’s something wrong with it. There’s a high chance it is a refrigerant leak. 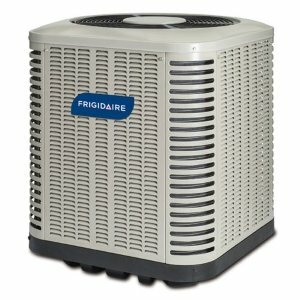 Iced build-up on the components of the AC or heat pump immediately means that the device is working defectively. The copper lines and the evaporator coils are the most susceptible to this. Whether it is because it is too dirty, the compressor has a mild deficiency or the most common of causes: the device has a refrigerant leak. The fewer refrigerant the heat pump contains, the more energy it needs to function correctly. Sometimes it happens that due to lack of efficiency, you end up lowering the temperature, which makes it consume even more energy. In the long run, this makes your utility bills go higher than before. As long as the device is not producing enough cold air, the time it will take to cool down your home will be longer. Without proper refrigerant levels, the effectiveness of the cooling process of an AC or heat pump will immediately lower down. Especially when you can hear a hissing sound from the coils and/or the registers, it means that the device leaks one of the coils. Some clicking or cracking sounds indicate that the device is freezing over, which is also a sign that it lacks refrigerant. These are some of the symptoms that will help you find out if your heat pump has a refrigerant leak problem or not. But, why do they happen? Leak in the accumulator: the component was replaced or fixed before, and the soldering wasn’t good enough. The device or soldering rusted out, and now it is leaking refrigerant. Copper lines that were badly soldered: Especially when we talk about capillary tubes, with the constant vibration of the heat pump, these tubes tend to detach from their connections. Improper soldering tends to cause this. Leak in the evaporator coils: A screw is loose, there’s a hole in the coils, a small breakage in one of the connections, the air handler is not working effectively, or the evaporator coil simply stopped working - making the evaporator to leak. Leak in the condenser coils: A loose screw, a screw punctured the coils, one of the coils is loosened in its connection, the coils are clogged, etc. A damaged condenser may block refrigerant inside as well. Leak in suction line: The suction line is where the refrigerant passes through to the different components. This part, when it is leaking, will immediately make the whole coolant to worsen the device performance. It could be at connections, joints, or even just with a simple cut or hole. More and more heat pumps are coming with manufacturing problems nowadays. Most of these wrongly manufactured devices are developing leaks in just a few years of use, sometimes even months. The larger the device, the more likely it is to have these manufacturer-caused leaks. If can find the leak on your heat pump, you can repair it. In the old days, correcting a device with refrigerant leaks was a nightmare, and almost always it ended on a coil or component being wholly replaced instead of mended. However, finding the leak today can also be a tough job. Whether it is with specialized equipment such as high-pressure nitrogen compression, a micron gauge with a vacuum, or any other, testing a heat pump for a refrigerant leak can be a tough thing. But if the leak is easy to spot, even visually, on the coils or in the suction line, you may find it easier to repair it by merely mending the hole, cut, or leak, and then add the necessary refrigerant again for the device to work correctly. When we talk about replacing something, we need to make sure we know exactly what needs to be replaced. For example, evaporators, compressors, and condenser, when they are in horrible situations or are too old to repair, there’s nothing better than to replace them. A deplorable condition would mean coils or overall integrity with too many leaks or holes. Or on the other hand, a component that can’t be repaired as it is too old or needs especial amendments that are not possible to do. Another component you can replace your heat pump or AC is the refrigerant. To replace coolant, you need to make sure to use the same type of refrigerant. Or else you would have to change the complete refrigerant line, primarily if the device used R22 and you want to use R410A now, for example. If repairing or replacing the heat pump by yourself doesn’t sound like a good idea, then you can always call an expert technician. They will probably have all the necessary equipment and experience to test, find, and repair the problem you have. And if it comes to replacing something, they will surely know what and how to do it correctly. However, it is important to stay away from those “AC professionals” who don’t do any testing, who don’t have enough equipment, and who don’t give you tangible answers about how to fix your device. In these cases, find a better expert or do it by yourself, following our troubleshooting tips. Make sure the problem you’re facing with the device is indeed a leak. For this, follow the symptoms and causes of a heat pump refrigerant leak. Now that you’ve made sure it is a refrigerant leak, whether it is because you have found the leak or because the device is not working as it should, it is time to start finding a way to replace or repair the part that leaks. Find this part if you haven’t yet, it could be a component or a single coil. Remember to extract the entire refrigerant left inside first, so you can work more safely and eventually make sure you can re-use it without having to replace the whole gas or liquid at the end but only what’s necessary. Solder the gas leak if it is on a valve or access port. If the part is too severely damaged, you will have to look for a replacement instead. If the leak is in the copper tubing, you will have to solder as well. This is the most straightforward fix to a hole, just finding the place where the leak is and cutting or adding a new copper line to where the hole was. You can also solder the leak if it is located on a condenser or evaporator coil. However, these repairs not only are less effective but eventually end up breaking even more in the long run. For this, it is almost always better to replace the whole component unless the leak is tiny. After soldering, repairing or replacing the part(s) that was/were leaking, it is time to add the refrigerant once again. Remember to add precisely what’s needed and not less or more, taking into account what was extracted. Make sure the coolant is the right one, or else you may need to replace the whole tubing system and suction line. Following these steps will help you find out what problems is your device having and eventually fix them. Make sure you follow them thoroughly and take into consideration each detail. Want to fix your heat pump refrigerant leak? Having a heat pump refrigerant leak is not a problem impossible to repair. Even though a professional may know more, have a better experience, and possibly have each essential piece of equipment to fix it – you may still have the chance to save a few bucks and do it yourself. Follow this troubleshooting guide with everything needed to test, diagnose, and fix your own leaks & components so you can eventually say goodbye to any heat pump refrigerant leak problems you may be experiencing.